They are known as “America’s Team.” With 8.7 million fans, the Dallas Cowboys have the most followed National Football League team account on Facebook (September 2018, statista.com). And one of them is getting special recognition. 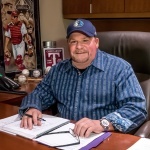 Arlington resident Stoney Kersh was nominated for the Ford Hall of Fans. The automobile company chose only six people, nationwide, to participate in the contest. 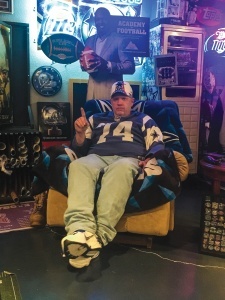 While the honor already exists for fans of NASCAR, 2019 is the inaugural year for the NFL Hall of Fans. Over the years, the collection has grown – a lot! 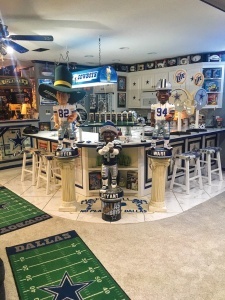 The Kersh home has been turned into the “Stoney’s Dallas Cowboys Museum.” It’s so impressive that the Arlington Convention and Visitors Bureau has listed it as an attraction on its website. The museum consists of three buildings, as well as several vehicles and an outdoor display area. “That’s what we do this for, is to show this to people,” says Stoney’s wife, Diana Kersh. The Kershs welcome families, schools and other groups into their home. They say they get a few visitors each week, but the number tends to increase when the Cowboys are playing well. They’ve opened their door to fans from Mexico, New York, even as far away as Hawaii. 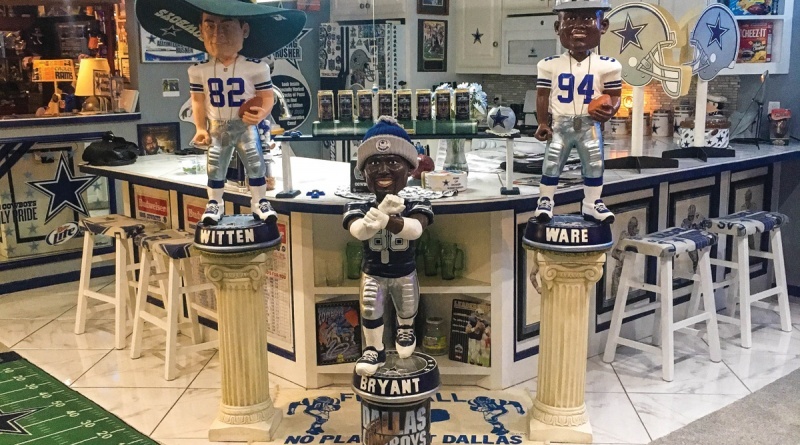 And while they are happy to host any football fan, the couple was excited to have these celebrities stop by this year: former Cowboys Michael Irvin, Dixon Edwards, Lincoln Coleman and NFL Commissioner, Roger Goodell. After his museum tour, Goodell invited the Hershs to his suite at AT&T Stadium to watch a Cowboys game. The winner of the fan contest will be announced on Super Bowl Sunday, Feb. 3. He or she will be inducted into the Ford Hall of Fans in July at an event in Canton, Ohio. 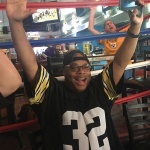 “We don’t even have a Dallas Cowboys player nominated to go into the Hall of Fame this year, so if we could get a fan that would be awesome!” exclaims Hersh. For more on the museum, visit arlington.org.